We’d love your help. Let us know what’s wrong with this preview of An Open Book by David Malouf. This is only David Malouf’s third new poetry volume in nearly 40 years, so it is a significant publishing event. As one of Australia’s greatest living poets, Malouf continues to meditate and reflect on themes of mortality and memory. 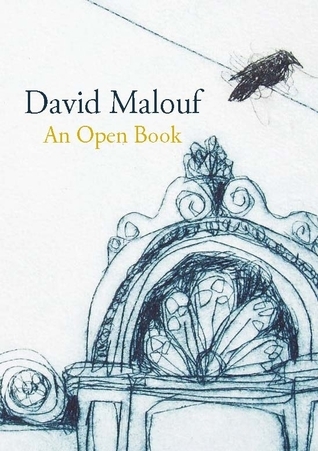 The poems in An Open Book celebrates the power of poetry and reaffirms David Malouf as one of Australia’s most celebrated and beloved writers. To ask other readers questions about An Open Book, please sign up. An amazingly revealing and moving collection; childhood, adult love and missing, reflection, fear, death and acceptance. A whole life it seems. Malouf somehow achieving a new height. I also liked ‘Incident on Myrtle Street’ – about the scent of a burglar breaking into the house, and ‘The View from the Winter Palace’ from a room that knows nothing of sea-light or sea breezes. And also ‘Kite’, with Malouf’s homage to his mother lost for the afternoon/ in another century, drowned/like Ophelia in her book. There’s lots to like in this collection. Just not my kind of poetry. I read about half of the poems and it just didn't connect personally. I'm sure other people would love and connect with Malouf's poems but I just didn't. Often I have to be really in the mood to enjoy poetry. It is not my favourite style of book to read. I quite enjoyed this collection of poetry. I found it calming and gentle to read. Great poetry with a fine emphasis on his early life and family. Kite is a favourite for me. David Malouf is the author of ten novels and six volumes of poetry. His novel The Great World was awarded both the prestigious Commonwealth Prize and the Prix Femina Estranger. Remembering Babylon was short-listed for the Booker Prize. He has also received the IMPAC Dublin Literary Award and the Los Angeles Times Book Award. He lives in Sydney, Australia.